Music Improvisation: Davide Fasulo, Roberto Righini, Guido Sodo. The playtext used for the show is based on the 1597 First Quarto (Q1) of Romeo and Juliet, translated and staged integrally for the first time in Italy. 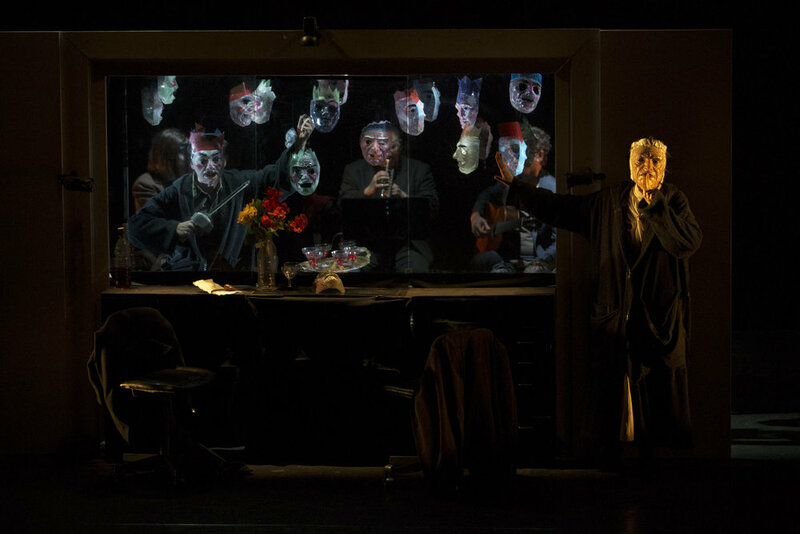 Teatrino del Giullare stages Romeo and Juliet as a comic tragedy made of contrasts and illusions, a tale built on reflections, anxieties and desires created with the help of masks which the the two performers characteristically employ in every creation they stage.